Life is full of learning. I try to find teachable moments in everything we do. Sometimes though JustaBXgirl takes the lead in those moments and creates new learning opportunities that I hadn’t thought of. Playing with her A To Z Alphabet Groceries she came up with a way to play I hadn’t thought of. We received this product for review purposes. As always opinions are honest and solely mine and JustaBXgirl. I wanted to take a moment to share her game and two of mine to help you get the most out of this toy and any of your other alphabet ones. 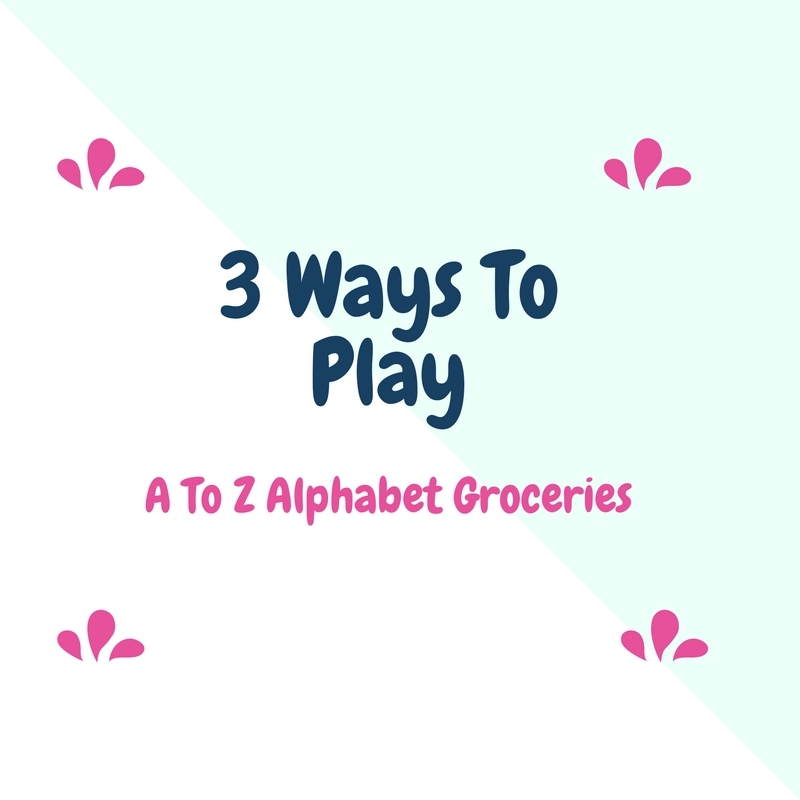 Pretend Play – These are groceries after all. This is the first way you should expect your littles to want to play. I love that some of the pieces actually open. JustaBXgirl has taken to hiding things in some of the “cans” and opening them to “cook” with. She sets the food up on one side of our living room then goes “food shopping” and complains about having to carry the food home. Then she attempts to store all of the food in her Dora kitchen’s refrigerator. I love when she turns and asks me if something belongs in the fridge. It’s also fun to watch her create recipes to cook with. You can catch her combining the most random items but she’s having fun and being creative. Letter Identification – Each item has the letter it starts with printed prominently on the item. It’s a great way to help your little remember their letters. I read somewhere that teachers are much more impressed with children starting school and recognizing letters than with the children that can only recite the ABC song. Here’s a great way to get your child to do both. You can sent them up from A to Z and identify each item with your child. You can ask your child to pass you food with specific letters. You can then try to figure out how many other words they can name start with a letter of your choosing. Spelling – This was JustaBXgirl’s idea. “Mommy how do you spell…” You have all of the letters might as well put them to use. See how many foods it takes to create some of your favorite words. It is another way to go “food shopping.” This is even a great game for the older littles that might have spelling words for homework. JustaBXgirl enjoys finding the letters to spell her name. A To Z Alphabet Groceries. Image courtesy of the Learning Resources website. Can you think of other ways your littles would enjoy playing with these? I’m not sure why but play food always seems to disappear over time in our house. We can never get enough of it and I really enjoy that there are so many ways to use these. This is super cute. I like the idea of having children put their own recipes together. I would add some math into it too so they can understand the price of items if their age is appropriate for that. My son would love this! I love that the pretend play has a fun learning aspect to it.